The school governing body has approved the LA Curriculum Policy and adopted it as their statement of curriculum aims for the School. A copy of this document is available for viewing at school. We are committed to providing high quality education for all our children. We believe that education is about the development of the whole child and we regard childhood as a very special time: to be enjoyed and valued for itself, not just as a preparation for adult life. We seek to provide a secure and happy environment where children can develop confidence and achieve independence and maturity. Attitudes of tolerance and regard for others within the school community and beyond are fostered. Learning programmes are devised which take account of the range of ability within teaching groups. Children with any learning difficulties receive additional help. A broad and balanced curriculum, encompassing the National Curriculum requirements, builds on children’s natural curiosity and enthusiasm for learning and living. Mastery of the basic skills enables children to become independent learners. 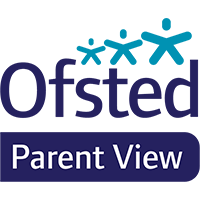 As each child gains knowledge and understanding, his or her progress is carefully monitored. The staff work closely to ensure curriculum continuity and coherence for each child as he or she progresses through the school. Teaching techniques use a variety of strategies including whole class, group and individual teaching. These are planned to meet the perceived needs at the time. Children follow the National Curriculum and work through topics which encompass the whole range of subjects. Additional subject based work supplements this. The National Curriculum core subjects (English, Mathematics and Science) and Religious Education were implemented in September 1989. Technology was implemented in September 1990. So that the children receive a broad and rich curriculum they are also taught History, Geography, Art, Music and Physical Education.